Well, not THAT much stuff. I’ve finally tidied up a bit from the mini-book making with DS’s GF. There are some remnants, but not a lot. There is the debris from the decorated-it-yourself calendar cards I did, but not managed to get the rest of them done. I might never, who knows? and two lovely ATCs from Patsy in the Philippines. She was my very first WOYWW anniversary ATC swap so it was lovely to get another from her. Love them. Darn, I meant to take them out of the sleeves. Oh well. Now the Life in the UK test has been passed, it’s all about the paperwork. There is also some major work needed over on UKS, all behind the scene stuff, and that is going to take me a lot of time. But I will sneak in a WOYWW and hope for the best. I might try the hair dryer technique/tip, because, at this point, I have NOTHING to lose and everything to gain. Lucky you to have some ATCs from Patsy. I love her artwork. Those coasters are great! What an idea to use them with the gelli plate. Please show your work with that when you’re done. 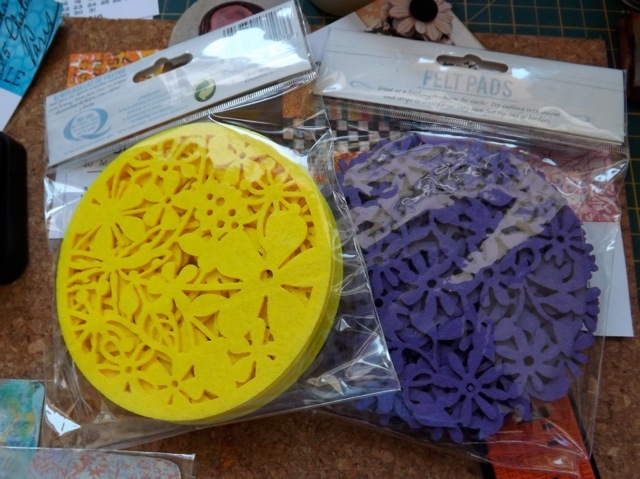 Ooh I love those felt coasters – they’ll be great for gelli printing, what a fab idea! Gorgeous ATC’s too, how lovely to receive them in the post – happy mail! 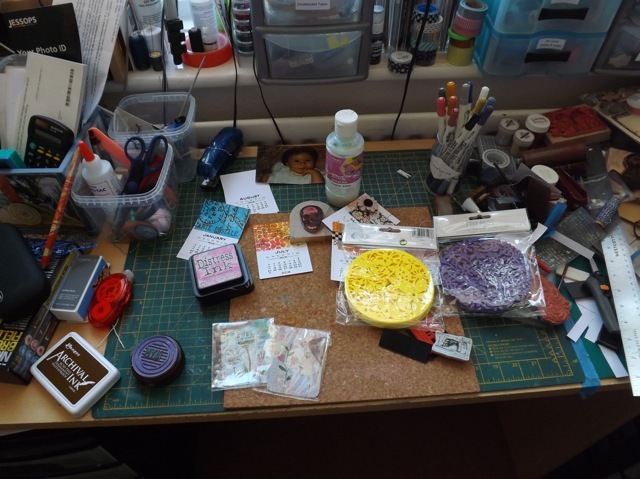 Oh I struggled to find where to comment then – loving the felt mats – brilliant idea for gelli plating! What a bargain those felt coasters were…I can’t wait to see how you transform them! 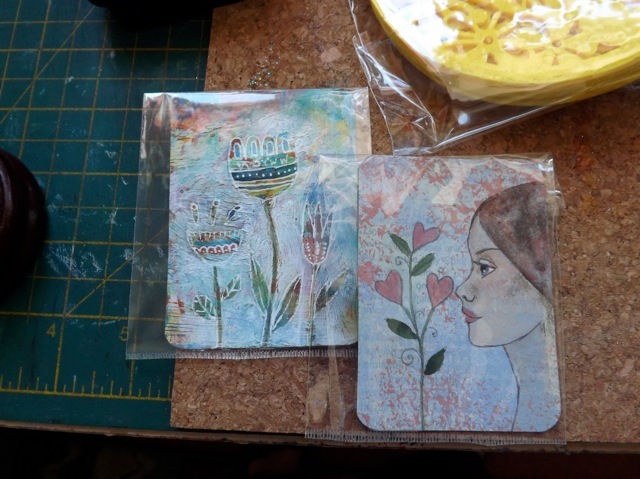 Those coaster pads look PERFECT for the Gelli and SO much cheaper than stencils. My Gelli got a raised spot on it and now gives me a circle when I try to print. Have NO idea what it is, because that was only my second time using it. I’ve practically given up and am ready to throw it away. I would if I hadn’t paid so much for it. Happy WOYWW from #3.